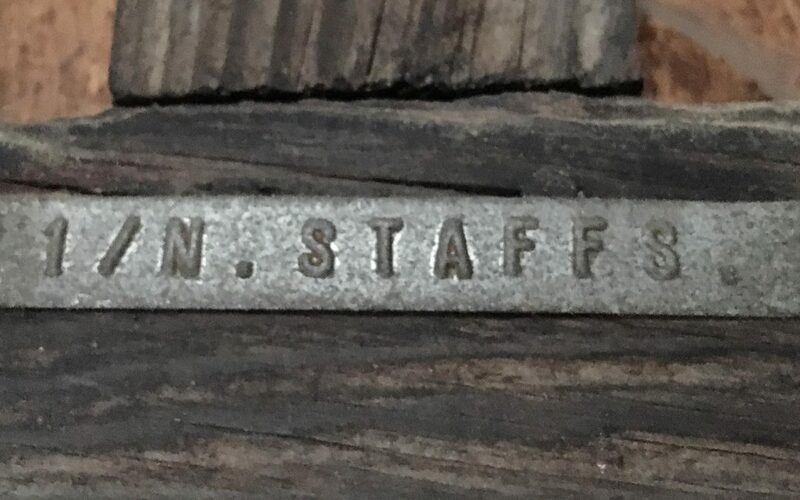 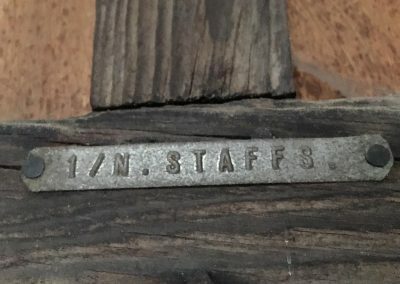 It appears a GRU tag was once affixed to the cross but has been lost. 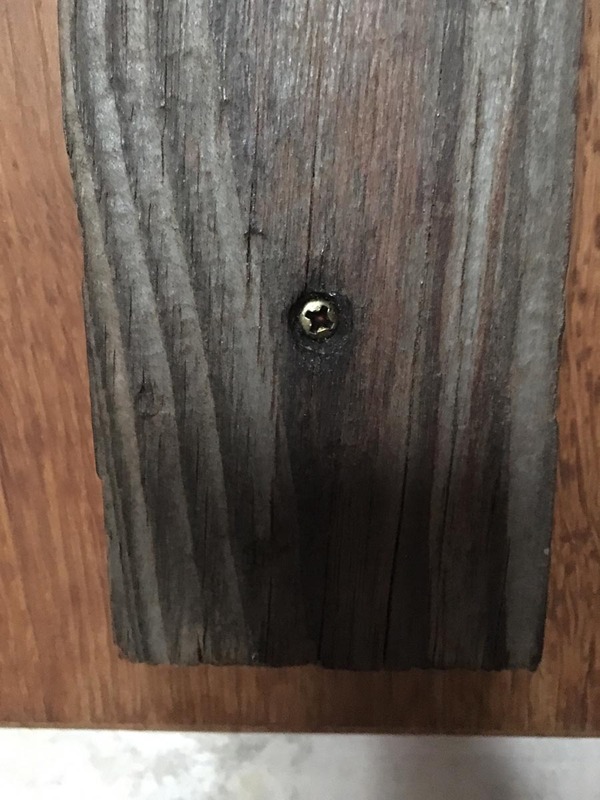 Mounting to wall: Cross is screwed to a plaque which is fixed to the wall. The cross is attached to the plaque by 3 x cross head screws. 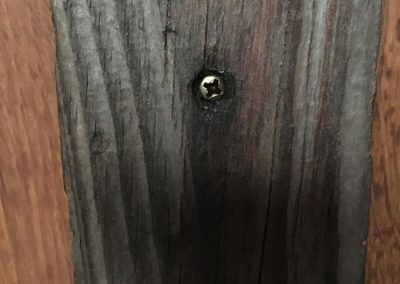 Finish: Wood has been stained in the past. 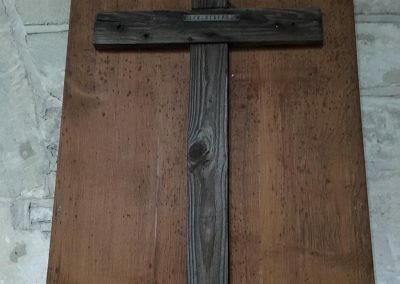 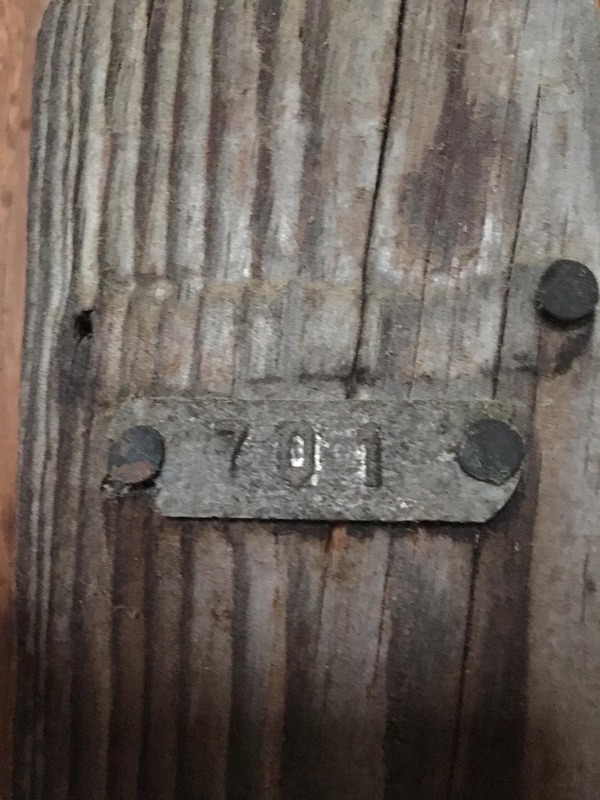 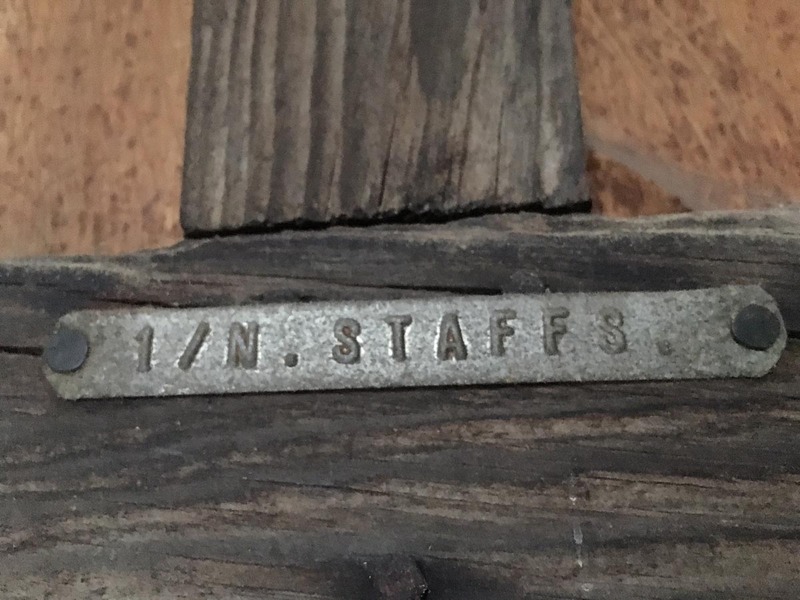 Condition: wood is cracked at three ends of the cross, and is very weathered in appearance. 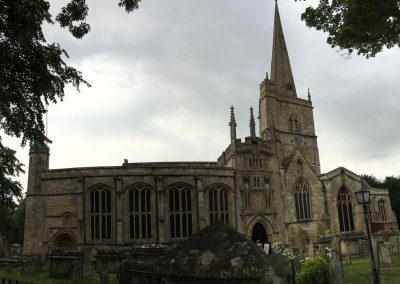 The Church of St John the Baptist is one of the biggest Cotswold Wool churches. 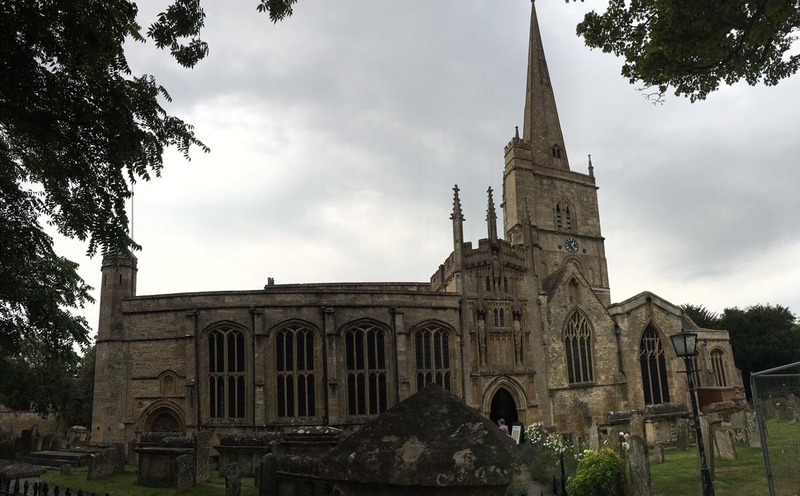 The present church was built in the 12th century, with many additions over the centuries. 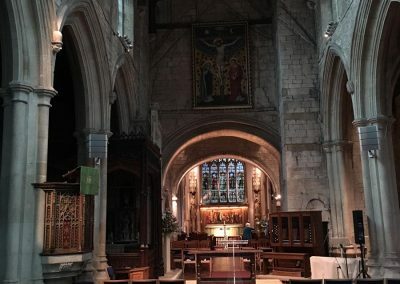 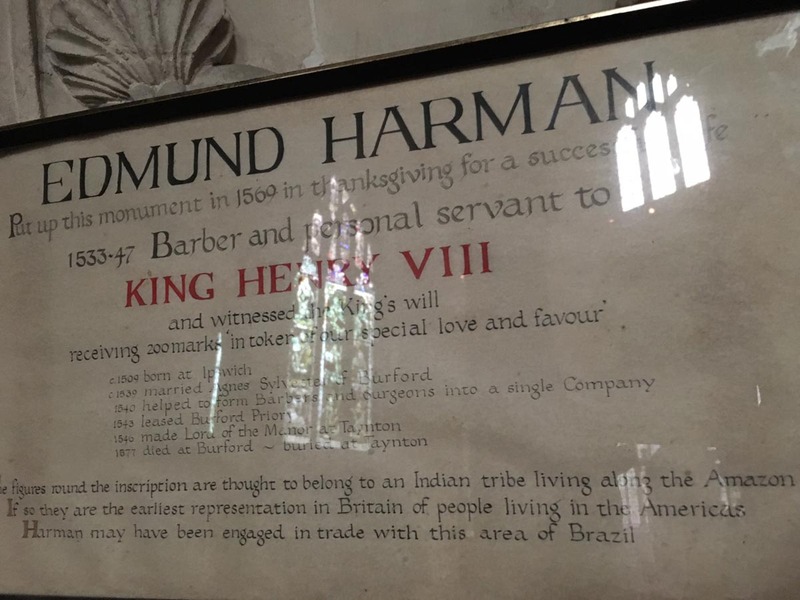 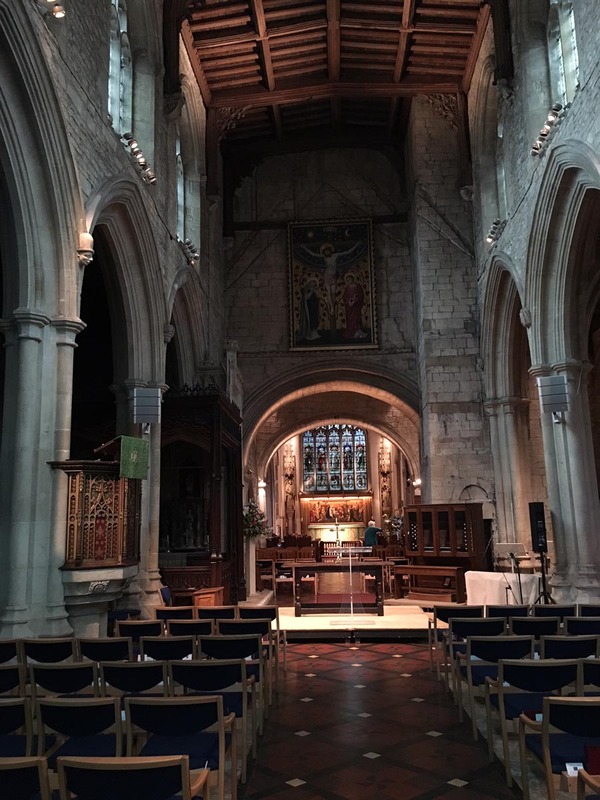 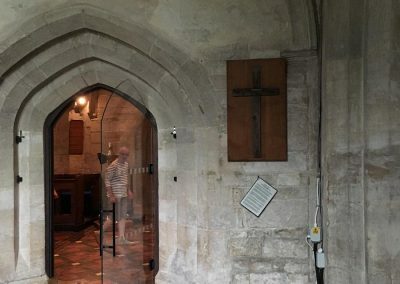 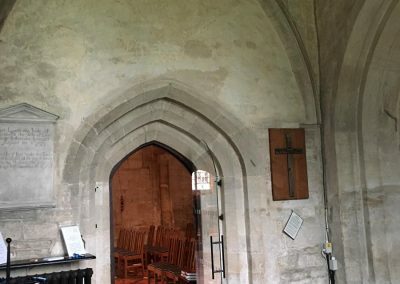 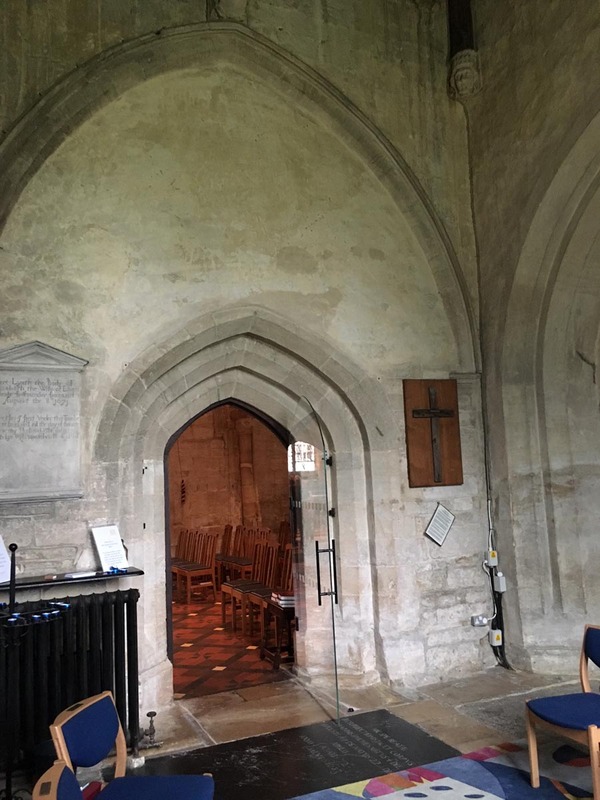 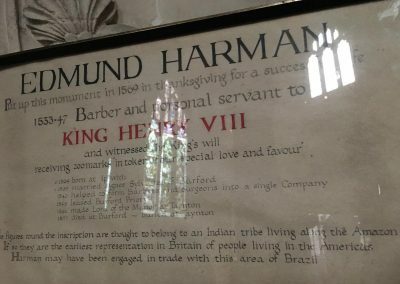 The church has many links with British history, such as a tomb for Edmund Harmon, barber and member of Privy Chamber of King Henry VIII, and in 1649, the church was used as a prison for 340 Levellers who were opposed to Oliver Cromwell. 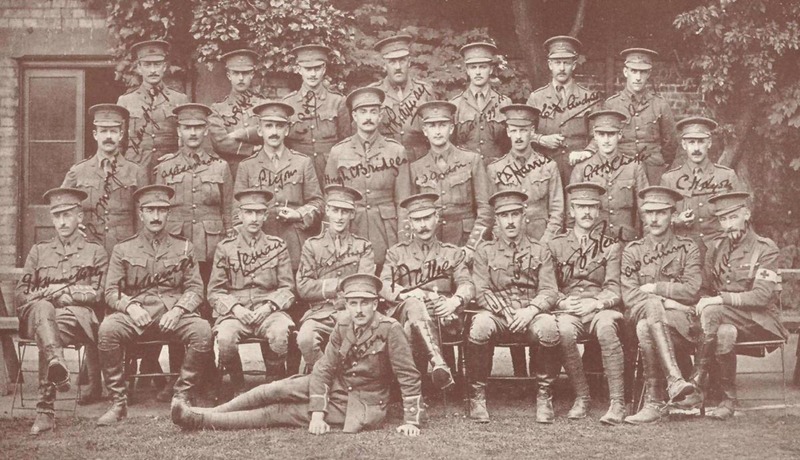 Three were sentenced to death by firing squad whilst the others watched from the roof. 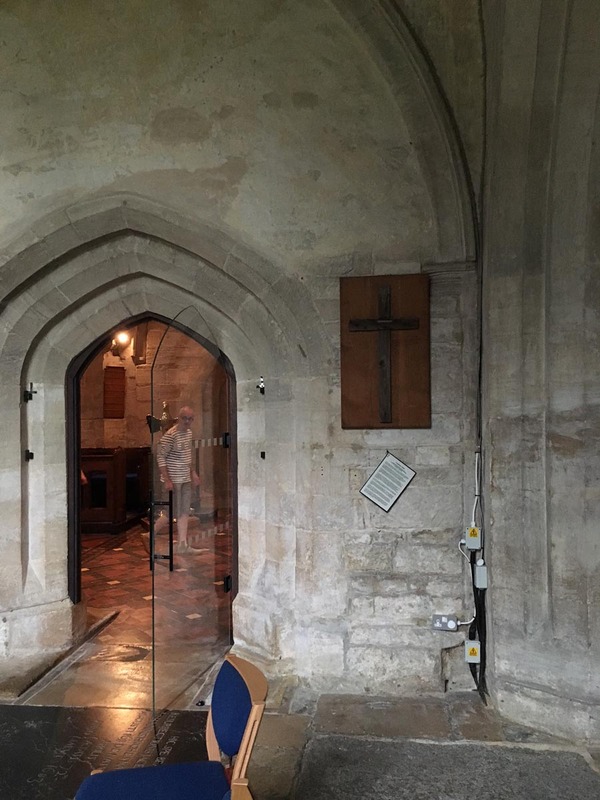 The font has been graffitied by one of the prisoners. 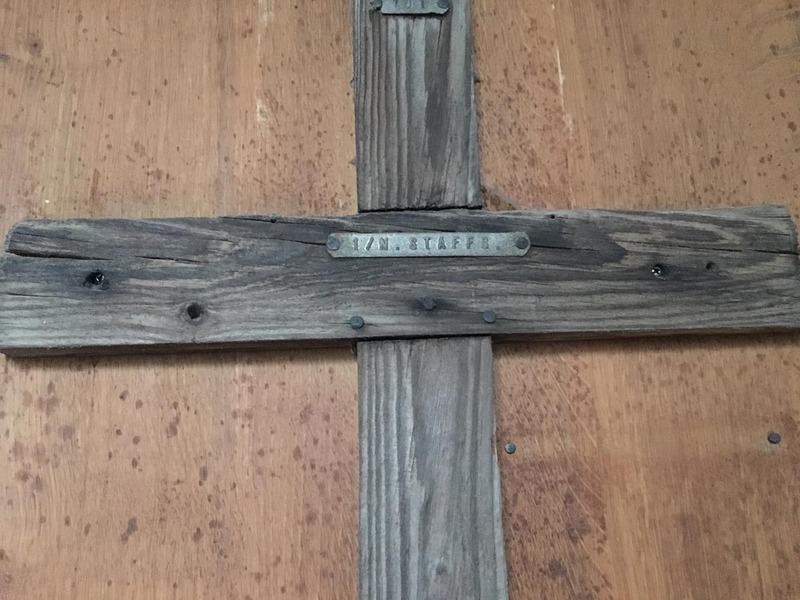 The WWI grave marker is found affixed to the wall of one of the chapels on the opposite side of the church to the main entrance. 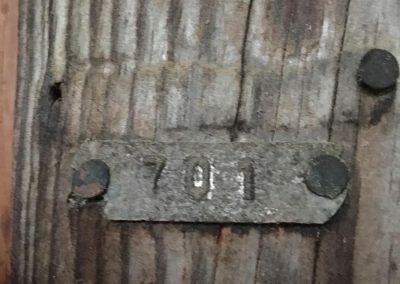 It used to be affixed to an outside churchyard wall which may explain the weathered state of the cross, and rusty GRU tags. 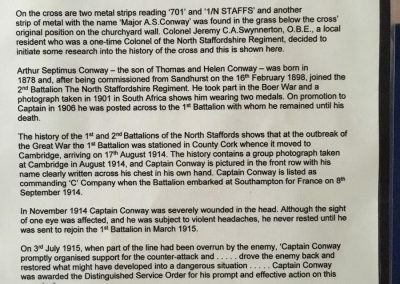 Underneath the cross is a handout with very detailed research carried out by Col Jeremy Swynnerton OBE. 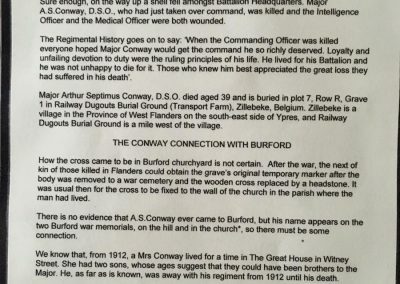 These comprehensive notes explain a GRU tag was found in the grass underneath the cross’ original position with Major A.S. Conway on it. 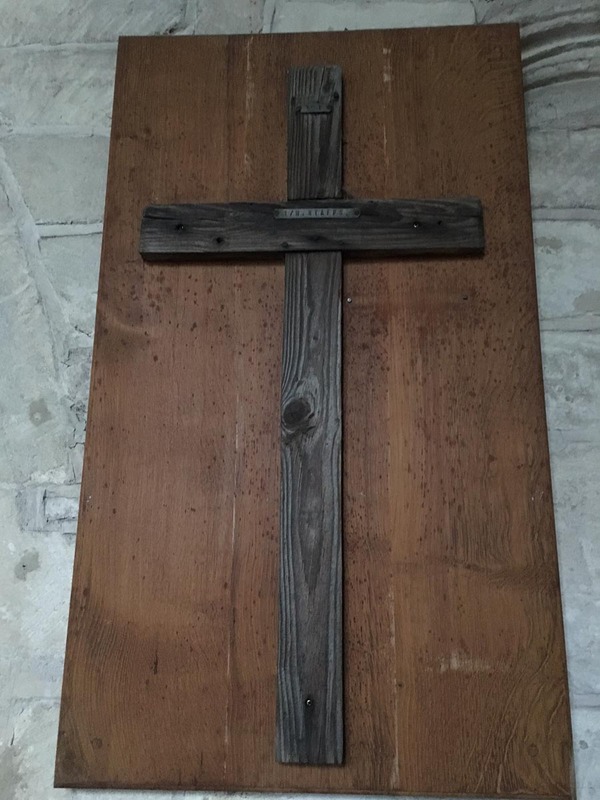 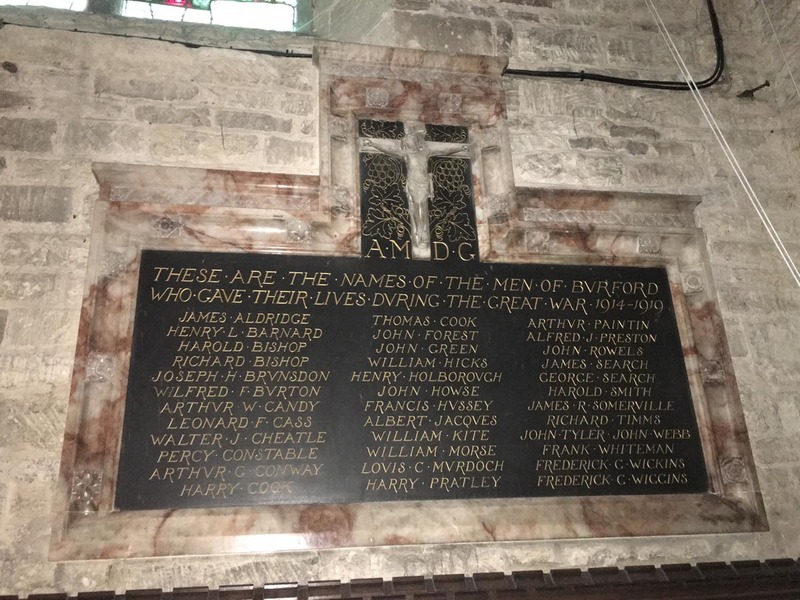 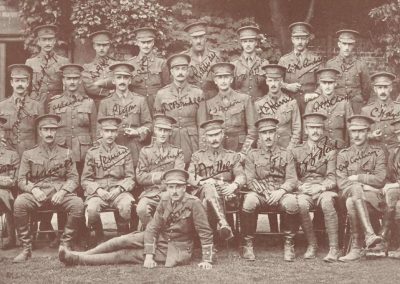 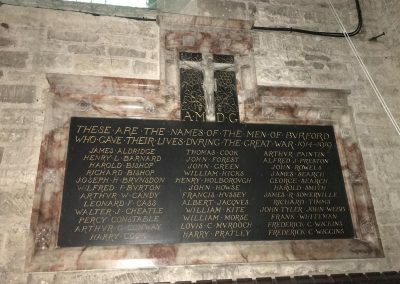 Therefore this cross commemorates Major Arthur Septimus Conway DSO, whose mother lived in The Great House, Witney Street, Burford. 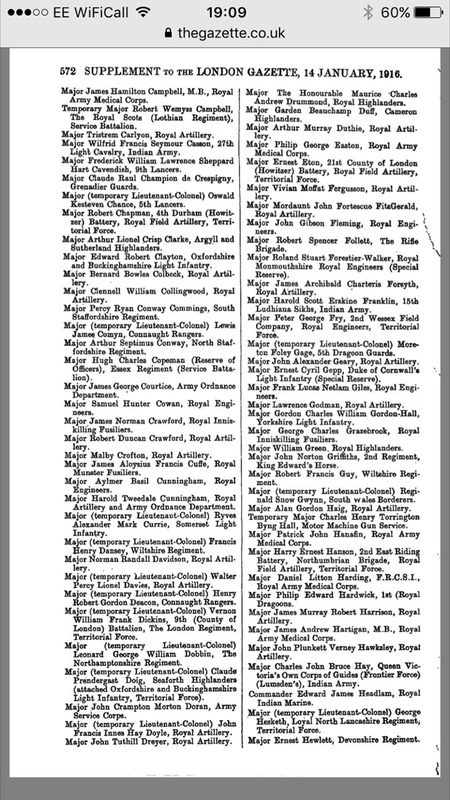 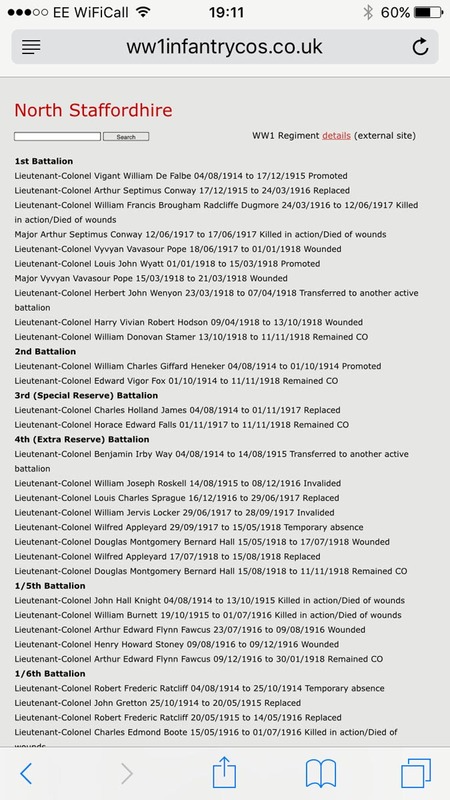 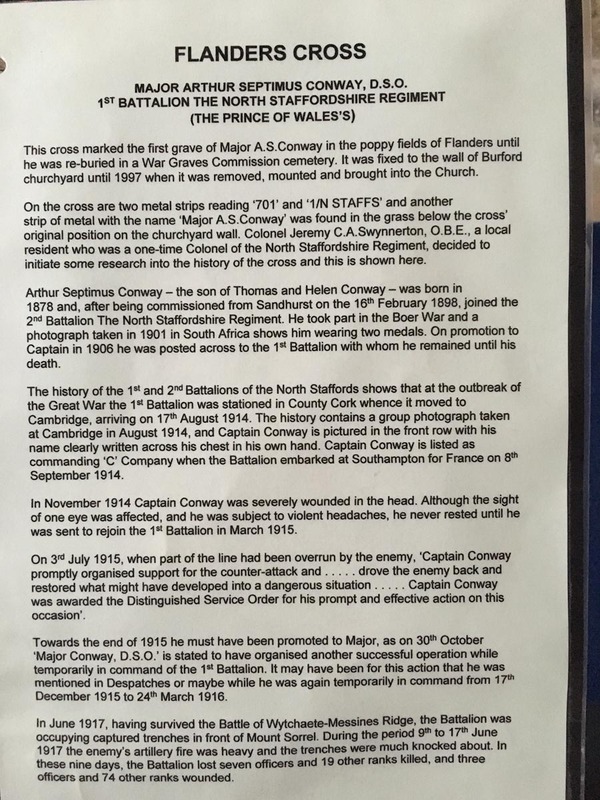 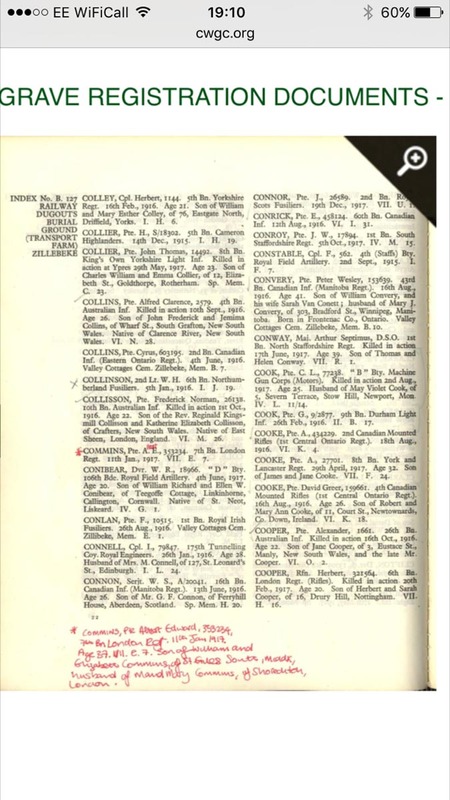 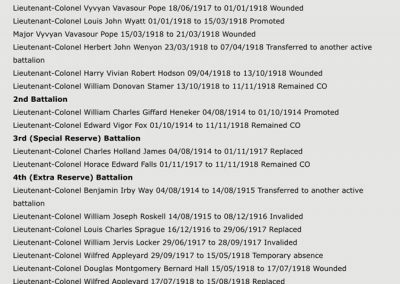 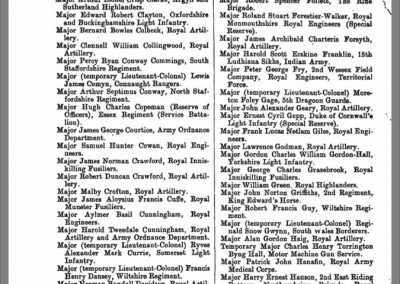 I have photographed the research which is easy to read, and explains Maj Conway’s career and unfortunate demise. 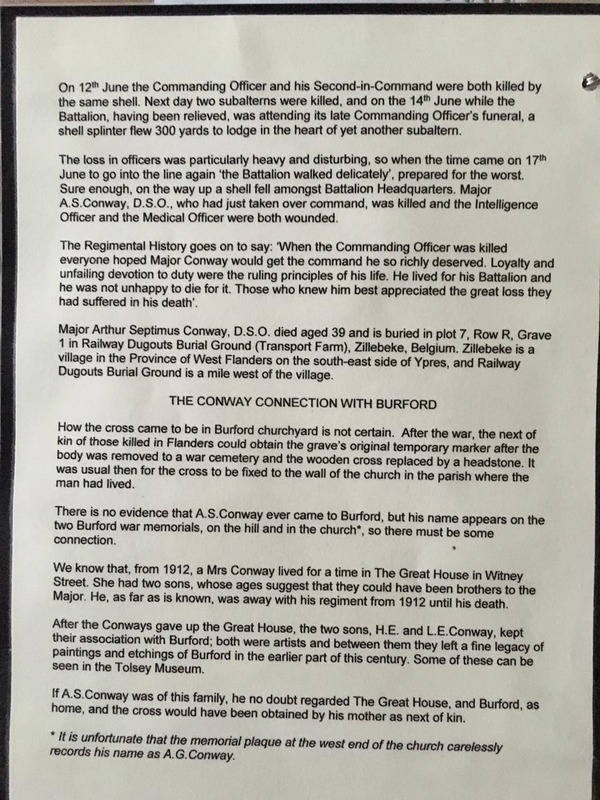 Appears he was a dedicated, popular officer. 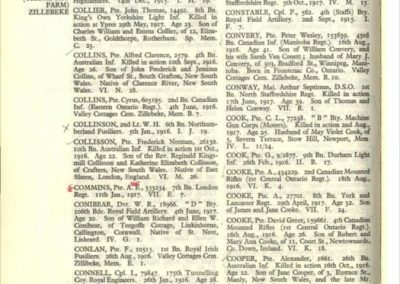 A photograph of Arthur Septimus Conway is also included.